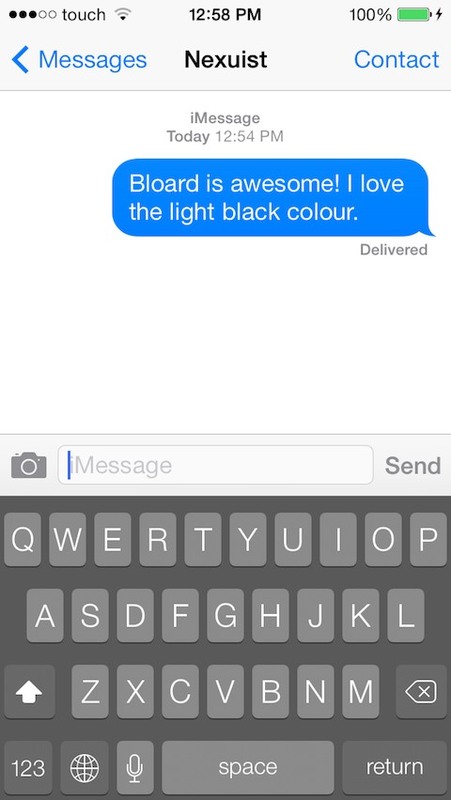 Tired of white keyboards in iOS 7+? Install Bloard! Bloard while turn your white keyboard into a nice light black keyboard easier on the eyes. You can turn it off anytime from the stock settings app. No settings to configure. Works on every app with a keyboard.